Red marks on the skin are often caused by a tiny abnormal blood vessel or a collection of blood vessels. 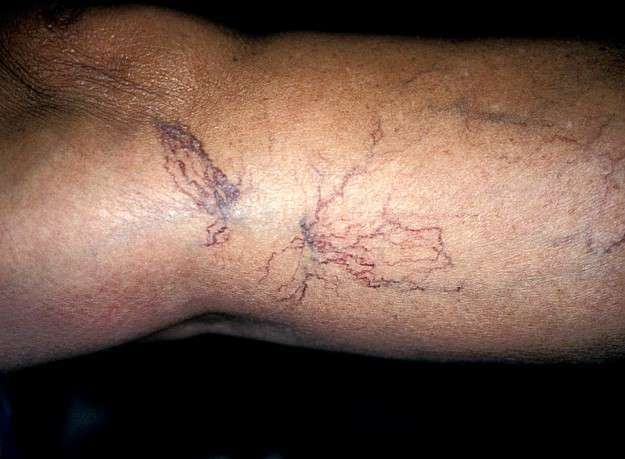 Thread veins (also known as spider veins or telangiectasia) is the name given to the tiny blue, purple or red thread-like vessels close to the skin surface, sometimes on the face, where they can contribute to the redness of rosacea. but often on the legs. They can cause immense distress, often disproportionate to their size. Their cause is undetermined, but some individuals inherit the tendency, especially if they develop at an early age. Standing for long periods, pregnancy, hormonal activity and being overweight may be contributing factors. Some sufferers are so embarrassed by leg veins that they will not expose their legs, and many activities such as swimming and tennis are curtailed. The ideal method of treatment of thread veins depends on their size and whereabout on the body they are located. For the face, treatment is usually by laser. For the legs, there are two methods, laser therapy and sclerotherapy. It is often usual to remove the bigger vessels with sclerotherapy, and then to tackle the fine vessels with a laser. A Spider Naevus (plural is spider naevi) is a small red mark with a central body and "spider"fed by a tiny central blood vessel. 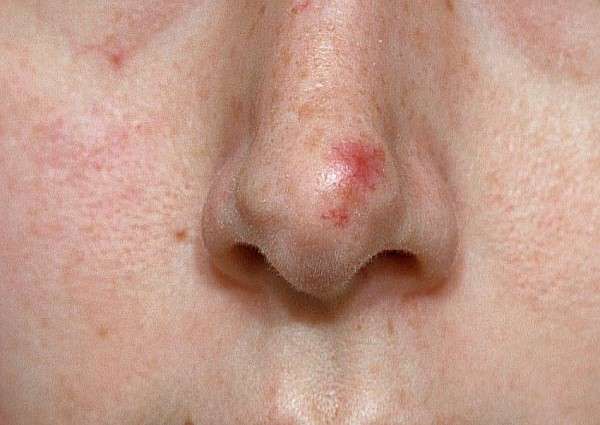 They often form on the nose or cheeks, and are sometimes multiple. The best treatment is usually with a laser that targets the red pigment haemoglobin in the blood the vessels contain. Port wine stains are flat purplish birthmarks which can be found anywhere on the face and body. The stains are caused by abnormal clumps of tiny blood vessels within the skin. Port wine stains, thread veins, spider naevi and Campbell de Morgan spots can be treated by the pulse dye laser. The laser light targets blood in the vessels, destroying them whilst leaving surrounding structures in the skin undamaged. A small area called a test patch is first treated, and the results examined in about six weeks time. If the vessels have cleared, then further treatment can be arranged. Usually no anaesthetic is necessary; an anaesthetic cream can make the procedure more comfortable. After pulse dye laser treatment there is always some bruising where the laser beam has struck - the tiny circular purple patches can last for up to fourteen days and sometimes for longer. The Diolite laser can also be used to treat some thread veins without bruising. If the problem area is tanned, it is best to wait for the tan to fade before having treatment. Repeated treatments may be necessary and 100% clearing cannot be expected. With full treatment, 60 - 80% clearing is typical. If the area to be treated is very small, it may be neither practical nor necessary to carry out a test patch. Slightly larger thread veins are treated by injection of an irritant liquid which destroys them - the technique is known as microinjection sclerotherapy. A very fine needle is inserted into the vein under magnification. 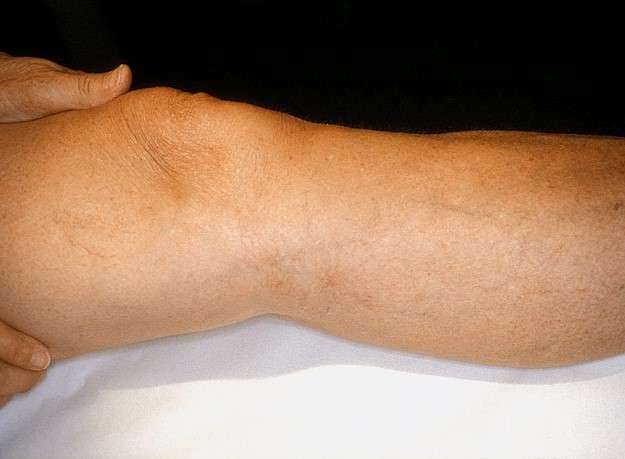 The walls of the vein are irritated by the solution and swell, blocking the vein. Redness and welting over the treated area takes several days to disappear and the veins slowly fade over the course of around six weeks. The injection may sting a little. Some areas must be treated several times, at six week intervals. Occasionally, blood leaks out of newly treated veins and converts to a brown pigment (haemosiderin) which, in the legs, can leave a stain. Again, it is sensible to treat a test patch at the first sitting. 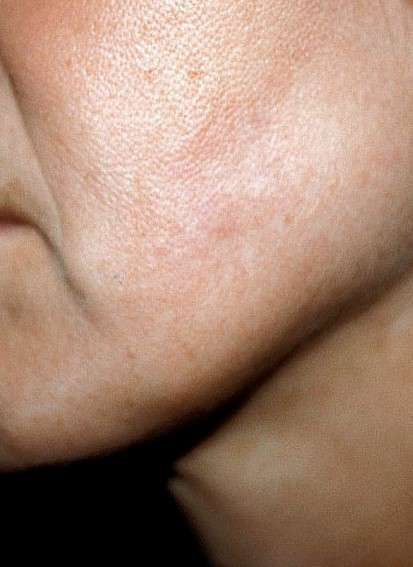 Dark brown or tan streaks or spots at the injection site which may last six months to two years, then usually disappear. Bruising which usually lasts up to two weeks. 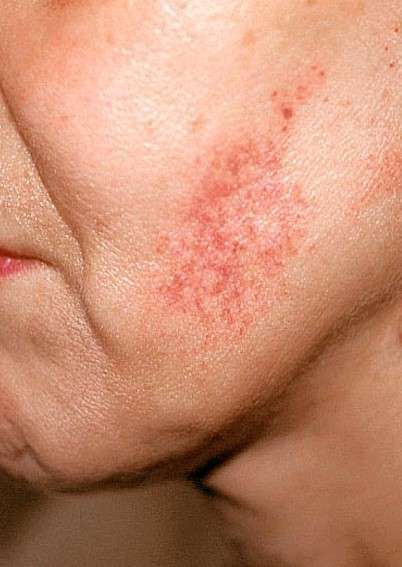 Rarely, skin ulcers may occur and can result in a residual scar. With both techniques, the risk of pigmentation is greater if the skin is exposed to the sun after treatment, and it is wise to wear a TOTAL sunblock on the treated area for at least six weeks, and then to avoid excessive sun exposure for a further six months.